Open House 2/17/19 from 1-3PM! 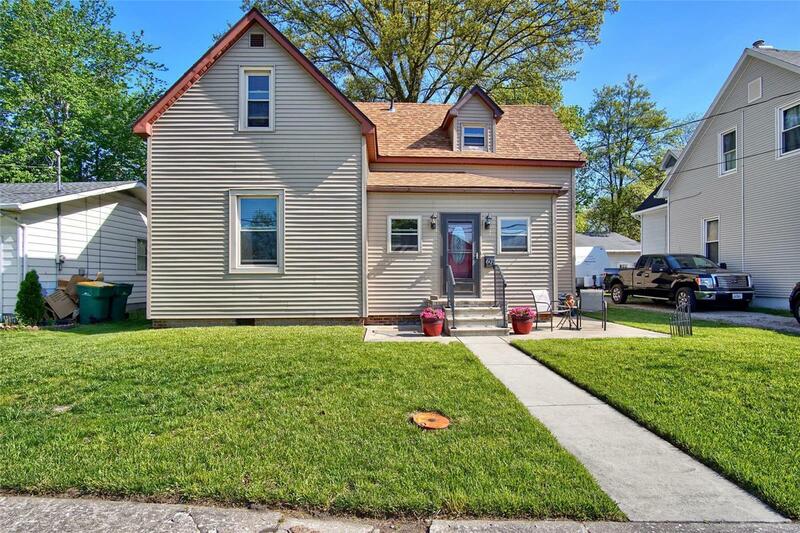 Cozy 1 1/2 story home nestled on a large double lot approx 50x200. Entering the home, you're greeted by a welcoming & spacious foyer. Large living room area features new(2018) Gas fireplace, with beautiful mill worked built-in bookshelves. This home features tall ceilings, an abundance of kitchen cabinets, & all kitchen appliances stay. The main floor is also host to a den/study, large bedroom, Newly remodeled(2018) 3/4 bath, & laundry room. Upstairs features 3 spacious bedrooms and a full guest bath. The well-shaded & partially fenced backyard features a great space for hobbies, bbqs, gatherings & entertaining. There is a large 2-car detached garage with alley access. New Sewer Line from Home to Street(Church) installed 2018. Walking distance to Downtown Mascoutah, & conveniently located near Scott Air Force Base, Highways, Schools & Shopping! Previous Contract Fell apart due to buyers financing.